Arts Commission Seeks "Curator of Fun"
To spice up the Indiana Arts Homecoming conference experience, the Indiana Arts Commission is looking for a curator to work with IAC staff and the Homecoming Steering Committee to infuse the conference with creative activities and events outside of the conference sessions. 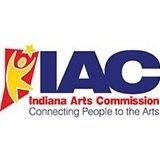 This role would entail researching Indy arts experiences and events, creating a plan of the best options, and “running” the experiences during the Indiana Arts Homecoming conference (October 24-25, 2019 in Indianapolis). Curate suggestions for other things happening in the area. There will be a stipend provided to the curator for curatorial fees, administrative expenses, and costs associated with the creative activities. Contact Miah Miahaelsen for more details by February 22, 2019.